As the 2016-2017 school year draws to an end, the San Pedro Town Library (SPTL) is hosting several free educational and recreational summer camps. With the first camp quickly approaching, SPTL Library Assistant Marlene Coral is encouraging all parents to register their child/children. The first camp will take place on Monday, July 3rd through Friday, July 7th, from 1PM to 3:30PM. 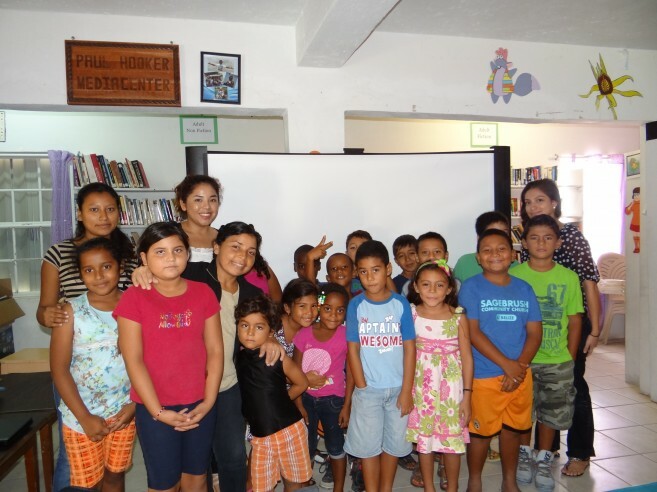 Every year, the SPTL, in conjunction with the Belize National Library Services and Information System (BNLSIS), hosts their annual summer camp under a theme relevant to Belize. This year, BNLSIS has selected ‘endangered birds’ as the main theme, and campers will learn about the yellow-headed amazon parrot, ocellated turkey, and jabiru stork. The camp will be a combination of lectures and fun activities, such as arts and crafts, coloring, and word games. On Tuesday, July 4th, The Belize Audubon Society will be leading a special presentation, which will include a bird walk through the library and a reading of the story, ‘Sunny—The Yellow-headed Parrot”. According to Coral, every annual theme is significant for Belize. “’Endangered birds’ relates to our own country, and I think it is very important for our children to learn about them, because sometimes they grow up and are not aware of their surroundings. This camp will teach them to be conscious of what exists, while learning about conservation in the process,” said Coral. The SPTL will also be partnering with Projects Abroad, and will host an Interactive Reading Camp on July 5th, 6th, 12th, 19th, and 20th. From 3PM to 4PM, children will be able to improve their reading, spelling, grammar, and vocabulary skills. Volunteers from the University of North Carolina at Wilmington USA (UNCW) will be returning to SPTL to host their Literacy Camp on Monday, July 24th to Thursday, July 27th. From 9AM to 11AM, campers will learn about the conservation of marine animals, while improving their reading level. During the same dates, the UNCW will be hosting interactive reading session and games from 1PM to 3PM for ages five to seven. 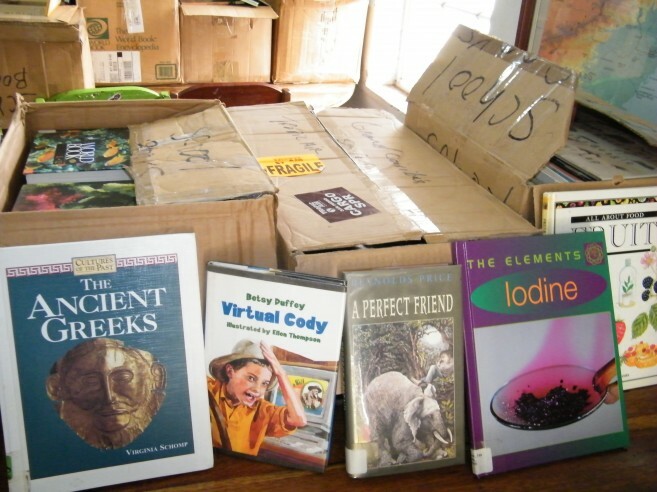 Following after, from 3PM to 4PM, Projects Abroad will host reading sessions for age’s eight to 12. Coral explained why conservation is important. “When we talk about conservation, we talk about the three R’s – Reduce, Reuse, and Recycle. It’s not always about doing, sometimes it’s what you don’t do that can contribute to the harm of the environment. I noticed that excessive garbage is a big issue here in San Pedro. Some children don’t have that appreciation for the environment, so we ‘d like to teach the children at a young age to protect it,” said Coral. Projects Abroad will also be hosting a ‘Child Stimulation’ camp on Monday, July 31st to Thursday, August 10th, from 9AM to 11:30AM. This unique camp is geared to children ages five and six, who are unable to attend preschool. These campers will receive a chance to learn modes of transportation, natural science, nutrition, ethnic groups, and professions. With the help of UNCW and Projects Abroad, SPTL will be introducing two math programs on Tuesday, August 1st to Thursday, August 3rd. This camp is geared for students struggling in math, and aims to give them an academic boost. From 1PM to 3PM, student’s age eight to 12 are welcome to come and get assistance from UNCW volunteers. For age five to seven, Projects Abroad will be offering help from 3PM to 4PM. SPTL looks forward to hosting a series of successful camps, and reminds all parents to register their children at the library. The public and visitors are also reminded that you are welcome to come to the library and offer your assistance to help a child read. To register, please visit the library across of the San Pedro Roman Catholic School on Barrier Reef Drive, or call 206-2028. SPTL opening hours are from Monday to Friday, 9AM to 7PM, and Saturday, 9AM to 1PM.